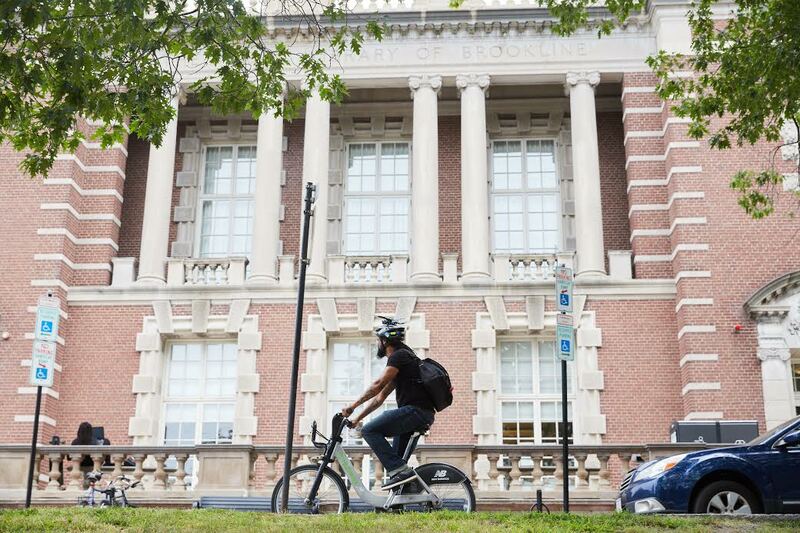 It’s not everyday that we see cities collaborating on bike share equity, which makes the Boston area’s recent moves in that direction a notable achievement. The cities of Boston, Brookline, Cambridge, and Somerville, along with many partners, such as Motivate, the Department of Transitional Assistance, and the public health department have been working in coordination to provide a regional discounted fare option for low-income residents. 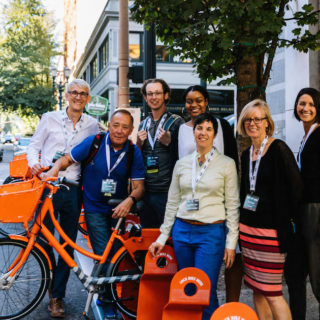 The partnership’s most recent accomplishment is the SNAP Card to Ride program, where qualifying participants can access Hubway bikes throughout the four cities for just $5 per month, or $50 per year. In contrast, the usual system membership has an upfront $99 per year price tag. The discounted regional membership means that participants have access to 1,800 bikes across 194 stations in the four cities. 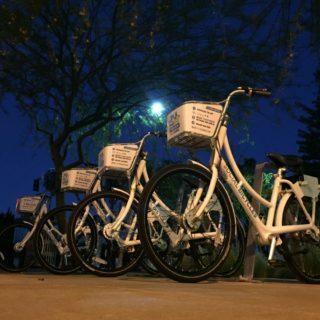 The collaboration is a departure from the practices of many cities that operate individually when it comes to bike share discount programs. It shows the powerful accessibility that can be provided when local cities work together. The process of checking out a bike through the SNAP Card to Ride program is fairly simple. The City of Boston had already been offering a discounted membership for those who couldn’t afford the $99 per year pass. On any given day, said Seskin, there were 700 to 800 members in the discounted membership pool. The new program also offers extended ride time of an unlimited number of 60-minute trips, in comparison to the 30-minute trips available before. One of the pieces of the program that took a fair amount of thought was how to make the verification of SNAP card numbers as quick and painless as possible, so as to encourage ridership. “We thought, what if you could go online anytime, get verified for a discounted program, and start riding that day?” said Seskin. However, the planning committee also had to consider privacy concerns, which meant that options such as verification through scanning in a photo ID were off the table. In the past, Boston has partnered with local institutions, such as the YMCA, to act as verification sites throughout the city, and Seskin hopes to reach out to those resources again, now that there is a new version of the discounted membership. The goal is to have a variety of different options for members to sign up, given that residents may only be available at certain times throughout the day or on certain days of the week. Don’t be fooled into thinking that the buck stops at the discounted fare for SNAP card holders, however. Seskin also discussed that the partnership is interested in lowering financial barriers, representing the diversity of the region, and providing access to good jobs. As part of this broader mission, the partnership is hoping to open up the discounted membership to residents on other forms of public assistance, such as SDI, SSI, temporary cash benefits, and public housing benefits. “The goal is that you can come to in-person sites to register, and that there will be at least one in each municipality, so you don’t have to travel too far out of the way,” said Seskin. “You can come in and say ‘this is what I have,’ and someone can guide you through the rest of the process in person.” The partners are even hoping to offer a sign-up option for individuals who are eligible for benefits programs but are not currently enrolled. 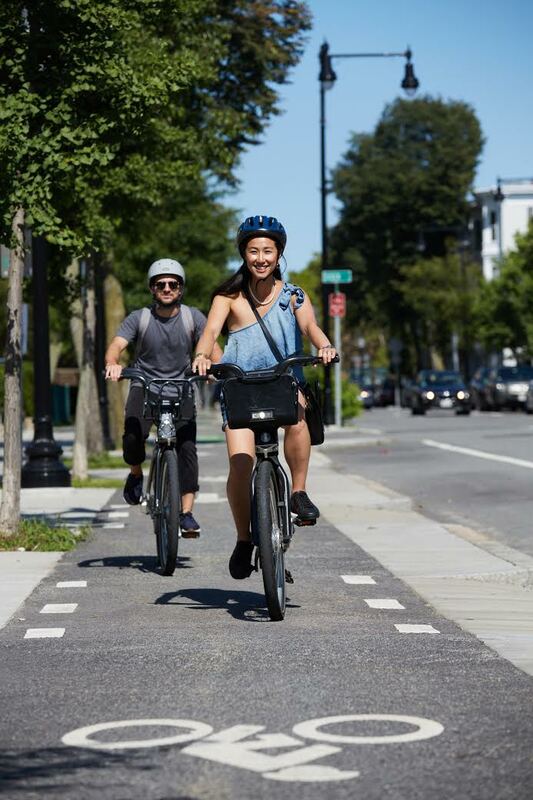 Additionally, cities have removed the hold that used to be placed on rider payment accounts once they had taken out a bike until returned, and they are exploring single-ride fare options. None of the above changes could have happened without committed partnership of course. The challenges of partnerships of course is that they require intentional coordination. The partnership has been meeting every other week for an hour and a half on Wednesdays, inviting necessary partners from other departments or sites. Some of the work required is matching messaging across institutions, something which Seskin says the public health department has been well-versed in. Still, there are bound to be particularly-challenging elements of any multi-sectoral endeavor. For the Boston region’s bike share partnership it has been how to share finances in this more significant way. Streamlining finances across the bike share system has meant that Boston’s former $5 a year discounted Hubway membership has become a $5 per month membership, just like the rest of the region. But Seskin says Boston is committed to continue to provide the $5 per year membership to those who are homeless or in transitional housing, and that the city may seek to find a way to further subsidize memberships in the future. The region is also looking into cash payment options for the unbanked and underbanked, who are disproportionately low-income, people of color, and gender nonbinary people, according to Seskin. 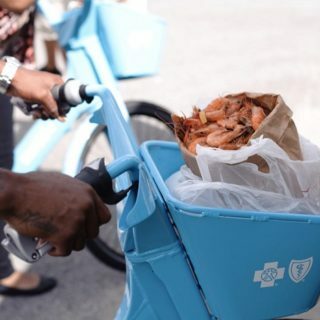 The final components of the Boston area’s revamped bike share equity efforts are increasing the number of bikes available and adding in new community outreach elements. Within the next 18 months, the city of Boston alone will be adding 70 new bike share stations, and other municipalities will see increases as well. The rollout of new stations is planned to be accompanied by a variety of public engagement initiatives, such as pilot programs and community events in diverse neighborhoods. The outreach efforts will include public service announcements in Vietnamese, Haitian creole, and Mandarin, among other languages, and the Hubway kiosks themselves will be bilingual between Spanish and English. In taking a step back, one can see the enormity of what the Boston region is up to with its bike share equity expansions. 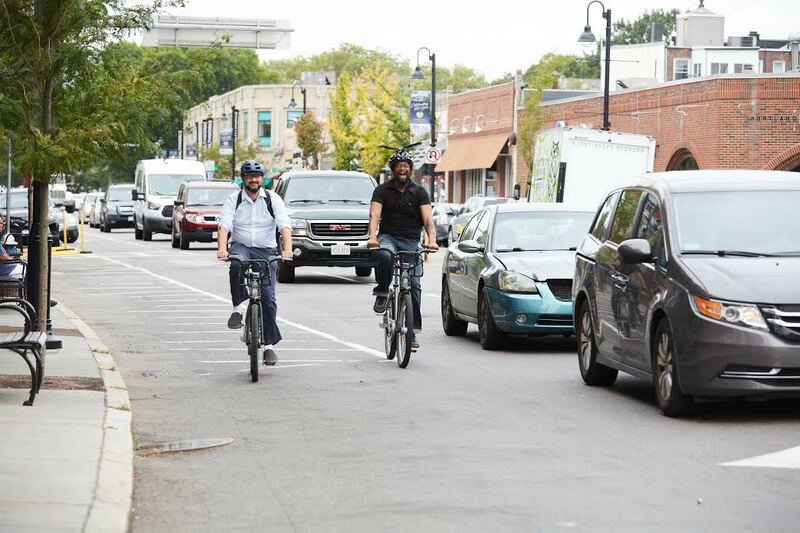 The new discounts, bikes, and programming have the potential to radically improve accessibility to bicycling among four tightly connected East Coast cities.